We understand the need of appliances in commercial areas.. Welcome to Commercial Refrigeration Brooklyn! If you are seeking effective service solutions and friendly strategy for commercial refrigeration systems and equipments, then you have come to a right place. Serving New York for more than 20 years with sales, repair and installation. 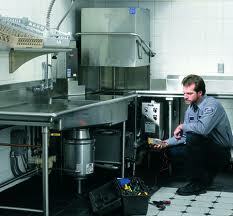 At Commercial Refrigeration Brooklyn, we offer best appliance repair services at affordable rates. Our certified and experienced technicians are well-versed in repairing all kinds of refrigeration appliances such as, walking coolers, ice makers, restaurant appliances, commercial freezers and many more. With the state of art equipments our technicians used, we assure that our services are incomparable in the industry. Call 718-416-6425 for repair, sales and installation services. At Commercial Refrigeration Brooklyn, we endow with the best refrigeration services to diverse industries, such as health care, food services, gas stations, grocery stores, and food services. Our expert team is proficient in repairing big or small commercial appliances in an effective way. Our main objective is to serve and make your experience a pleasant one with our high-quality services and unsurpassed rates. We assure that with our quality services you will feel the difference to a large extent. No job is too big or too small for our expert technicians. So, if you are residing in Brooklyn New York area and looking for commercial refrigerator repair, ice maker repair, walkin cooler repair, etc then let our experts finish the job for you. They are proficient in handling any type of repair with ease and guarantee a satisfactory work from their end. At Commercial Refrigeration Brooklyn, you will get the best repair and other kind of services for sensible prices. Without waiting for your commercial appliances major breakdown, contact us and we will be happy to serve you with our best services at affordable rates. We are active 24 hours in a day and seven days in a week at your services, Just give us a call and we will be there at your doorsteps instantly. We Service the five NYC Boroughs including: Brooklyn, Queens, Manhatten, the Bronx, Staten Island and surrounding areas such as Long Island, Long Beach, Garden City, Farmingdale, Hempstead, Union, Summit, Hackensack, MOntclair, Yonkers, New Rochelle and more. Brooklyn Commercial Refrigeration is the only company I trust to repair my commercial appliances. Brooklyn Commercial Refrigeration is the name on which i have full faith from the time it has been made and the company provides me the best services.